Martha Stewart Halloween Crafts & more! I have a few Martha Stewart Halloween Crafts that I am completely in love with but I’ve also found some amazing bloggers that have major skills when it comes to Halloween craft ideas! Some of these crafty projects are so clever that they should be the cover of a magazine! Halloween seems so far away but when it comes to crafts, we must plan it out. Planning out our Halloween crafts will save us some money too. I have found some pretty darn good deals online but if I waited until the last minute some of these items wouldn’t be on sale or possibly cost more because of the demand. Planning is key. Now I’m not saying to go out and buy your pumpkin months ahead of time but I am thinking about the tools and supplies needed to make these beauties! Hopefully you have most of your supplies already and don’t have to spend a dime. 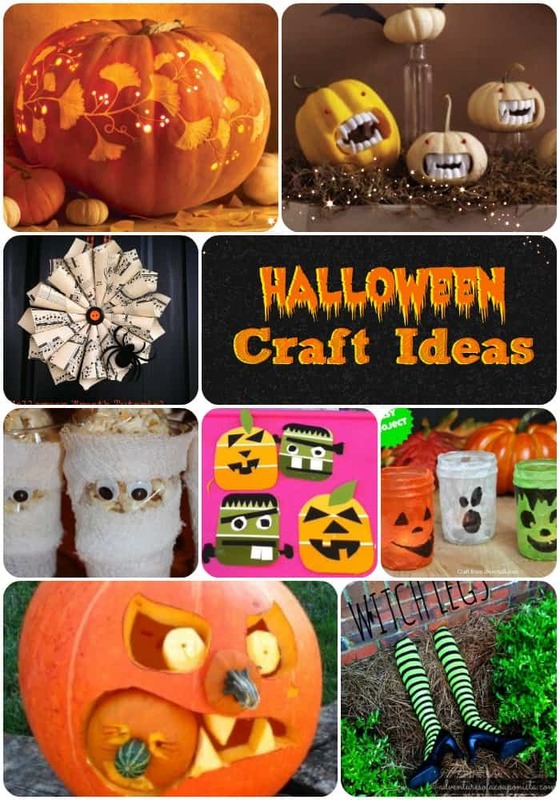 You won’t want to miss all of our amazing Halloween Crafts, Costume ideas and more here! Check it out! By Jennifer on September 6, 2013 Crafts.